We're all pretty accustomed to charging our gadgets at the end of the day, filling them with juice to get us through another day at work. But what about devices that may not need a charge as often? What about a gadget that can last up to 10 years without a charge? 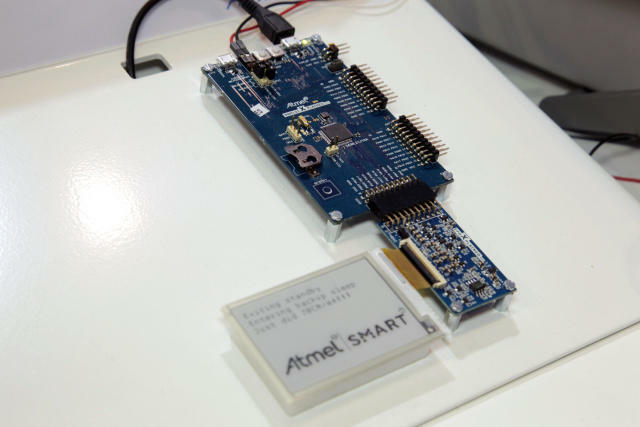 It sounds like the work of a science fiction writer, but it's what Amtel is aiming to create with a new ARM-based chip. The company recently began releasing early samples of microcontrollers that it hopes can provide new gadgets with decade long battery life. It's probably not something we'll see in smartphones, but it might be embedded in sensors, wearables and other connected devices so that you don't have to charge them. One product that pops into mind is something like Amazon's Dash buttons, which connect to your Wi-Fi network and can order you goods direct from Amazon – but don't really need to consume much energy. Ars Technica explained that the microcontrollers might actually be used in even more powerful products. "The processor may not be enough to, say, run an Ubuntu desktop, but it's certainly enough computing power and memory to run a real-time operating system with multiple programs, handle physical interfaces, stream media from a USB device or other external storage, and tweet you when your dishes are clean," Ars Technica said. Ametel hasn't announced pricing for the chip, which is still in sampling stages, but we can't wait to hear more about where these processors will appear in the future.